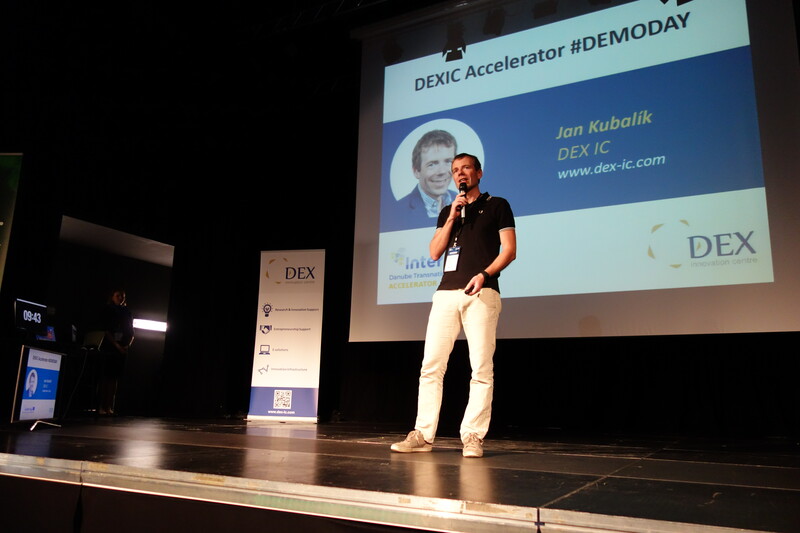 Our 6-week DEXIC Accelerator just started but we would love to invite you to the final event, the #DEMODAY 2019, that will take place in HubHub, Prague! Meet each of 7 pitching digital startups, investors, corporations and other startup ecosystem players. We are looking forward to meeting you in Prague! We have been facing a challenge of choosing the best 7 teams out of 140 applications. Now, at the beginning of DEXIC Accelerator, we believe we were successful - after 6 weeks of hard work will be 2 Czech, 1 Slovakian, 3 Hungarian and 1 Saudi startup pitching for investors and competing with each other. 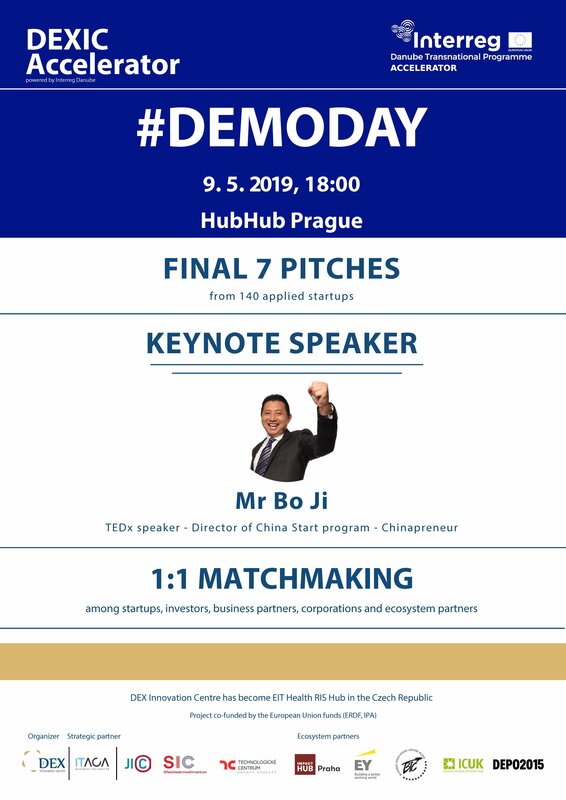 #DEMODAY will take place on the 9th of May 2019 in HubHub, Prague from 18:00. The event will host not only the 7 pitching startups but also an inspirational host speaker, Mr Bo Ji. He is a TEDx speaker, Chinapreneur and director of China Start programme - acceleration programme for companies entering the China market. If you are interested in expanding to China, you should not miss him! ITACA Business Incubator will briefly introduce possibilities for startups in the CIS region. After the pitching session, will be EIT Health presenting their programmes for Health startups. Learn about the opportunities they offer for startups' acceleration. Organize 1:1 matchmaking meetings with pitching startups, investors, corporations and other participants online and meet during the networking session. 20:00 - Keynote speaker - Mr Bo Ji - Unicorn or Dragon - How to Tap into the Chinese Market for growth?